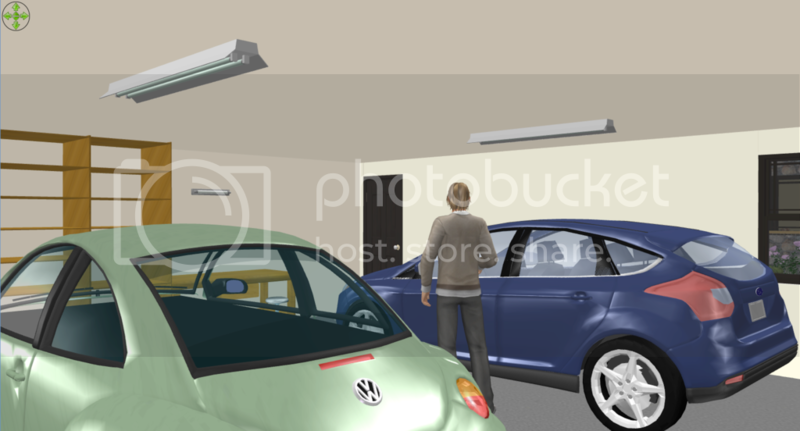 I thought I'd take some better pictures of the 2-car garage, but when I tried to render them I just couldn't get it to work - I think the file is way too big again (over 41 MG!). 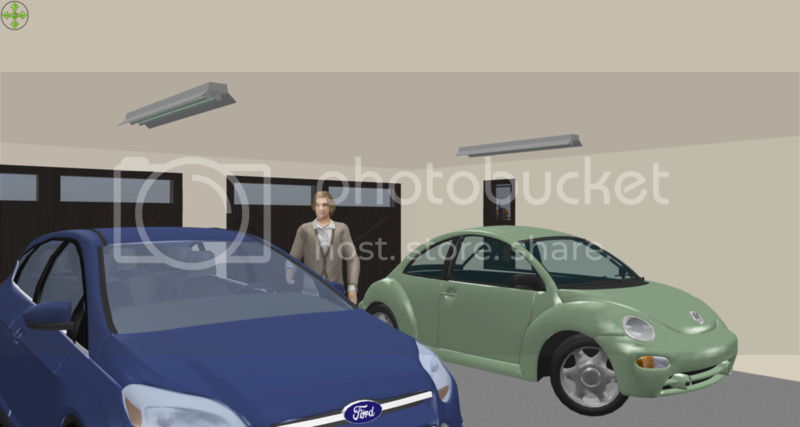 Anyway, I put the cars into the garage as well as the gentleman standing at the blue car, and took two screenshots instead. 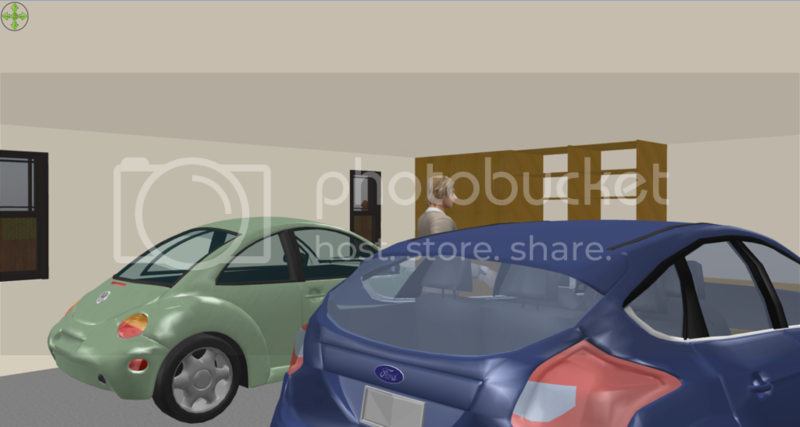 Two are taken from the corners by each of the two garage doors, this time with the windows visible. And the final one is taken while standing in front of the new door to the front room.